We can help you create a custom fence that meets your every desire. We understand that you have something in mind when it comes to your next fence, and its our job to show you all your fencing options, and then help you select the style that best represents your individual tastes. We are known in the fencing industry for our high level of customer service and industry leading fence installation processes. We have a vast selection of fencing materials available to our Aurora IL customers. You can literally mix and match fence styles and designs in order to come up with the fence of your dreams. Please take a moment to look at the fence galleries on our website to get ideas for your next fence project. Once you have an idea what you are looking for, please reach out to us to setup a free fence estimate, so that we can come out, measure your yard, and give you a price on your next fence. 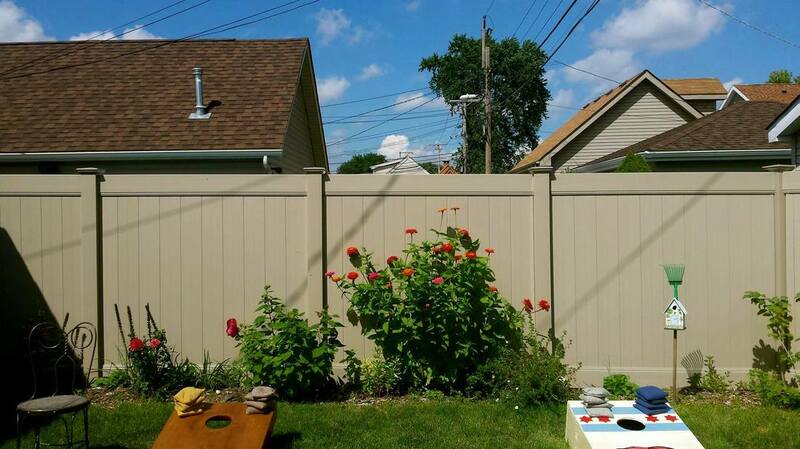 Many people in the Aurora IL area decide to go with a wood fence for their backyard. 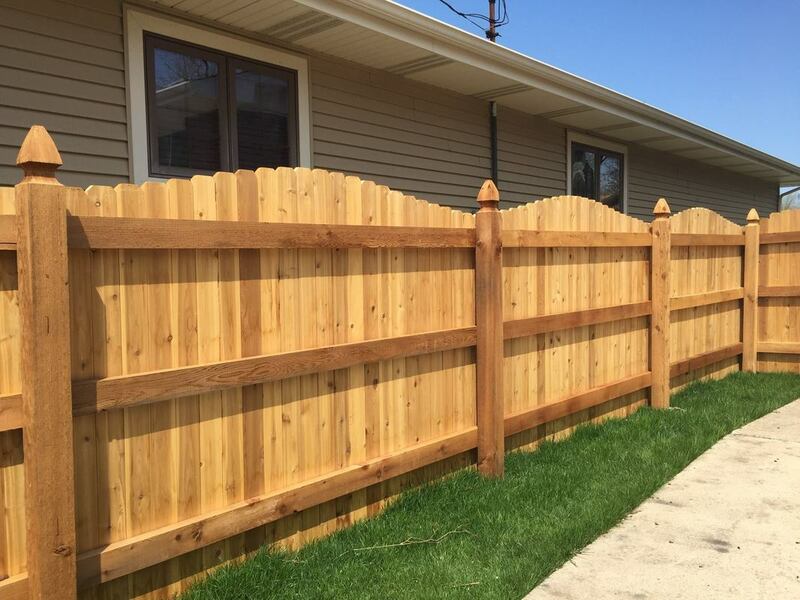 It is by far the most popular and classic design that we offer at Cedar Mountain Fence Company for Aurora IL residents. You have the choice between a traditional western red cedar, or its more contemporary counterpart, the white cedar. Whether you choose the red cedar or the white cedar, both will inevitably turn grey over time, so you have nothing to worry about, they will look the same in the end, Its really just about style and color preference in the early years of the new fence. There are many benefits to wood fences. Overall they are very stable and last many years. While they are not rot proof, they are somewhat rot resistant early on. But you should keep in mind with a wood fence there will be repair and maintenance costs over time. Wood fences are a great option for someone living in Aurora IL that is on a budget and is looking for the most affordable fence option. The first and most common issue that people experience with their fences is the gate not working or malfunctioning in some way. Usually the gates begin to sag over time, or they don’t line up with the gate latches when you try to close the fence gate. This can be frustrating over time. The best solution is to contact Cedar Mountain Fence Company, and have one of our expert fence installers come out and asses the situation.